Objective PET Second edition is a completely updated and revised edition of the best-selling Objective PET course. This edition includes several great new features, including brand new 'Corpus spots' which alert students to common mistakes made by PET candidates. 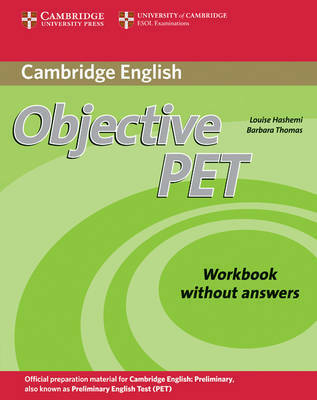 The Student's Book now includes a CD-ROM for extra language practice, including one complete printable PET practice test. The accompanying website includes an additional printable PET practice test. The Workbook provides further practice of language and vocabulary introduced in the Student's book. A Workbook 'with answers' is also available as are a Teacher's Book and a set of three Audio CDs.